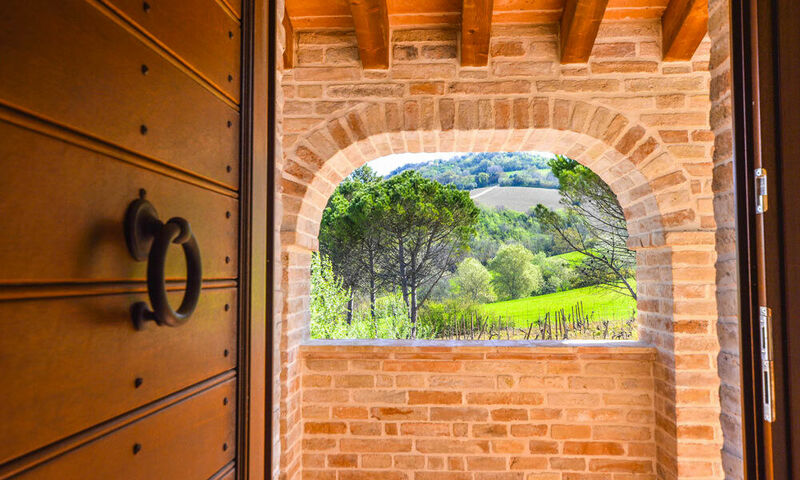 This exquisite farmhouse is placed in the luxuriant countryside of Montecosaro, Le Marche. 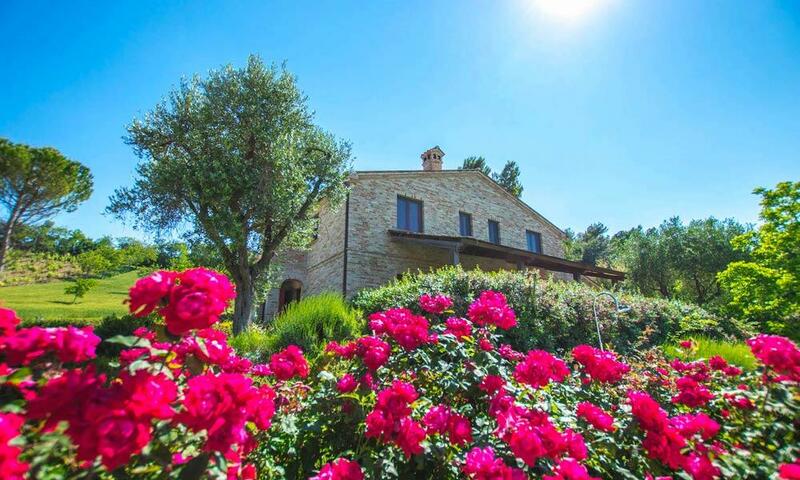 Private home, rental property, B&B…make it yours and choose the best purpose! 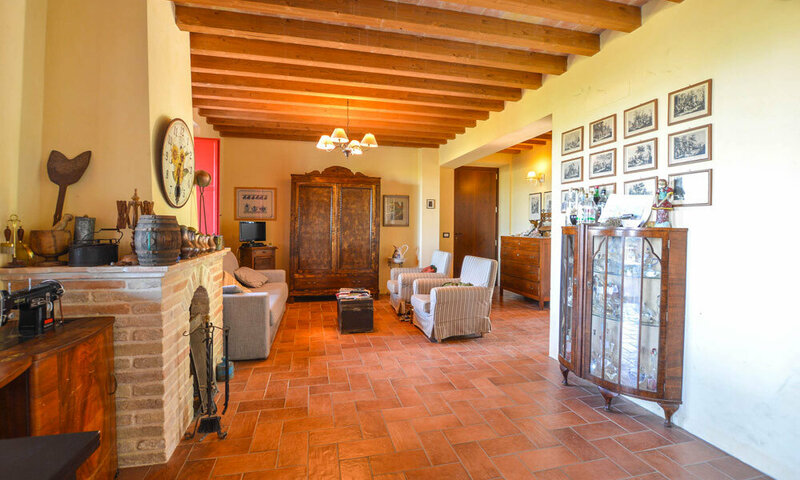 The property consist of a 300 sq.m. main building plus a 30 sq.m. 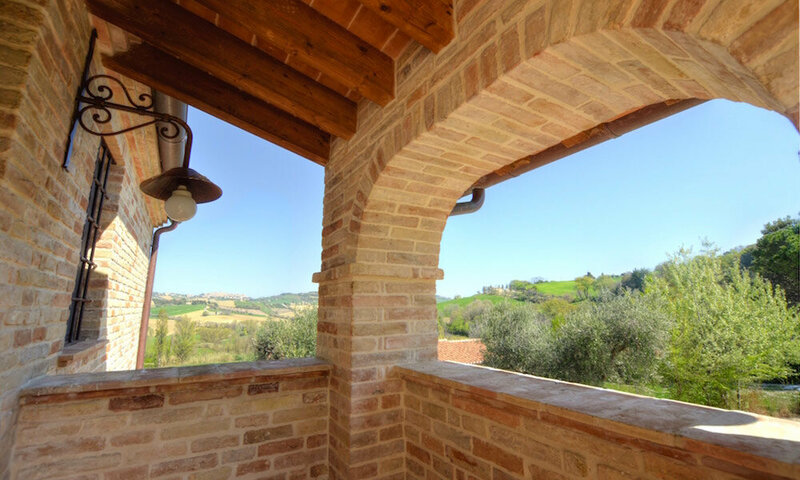 portico, with the owners’ home on the ground floor, and 4 bedrooms – all with en-suite bathrooms – on the first floor. 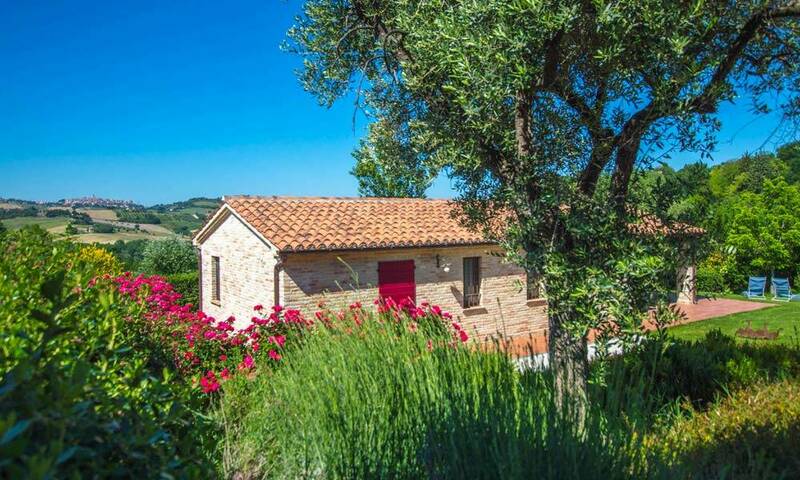 Beside the main house, there is a lovely outbuilding with portico and additional bedrooms. All this is surrounded by a 5.000 sq.m. 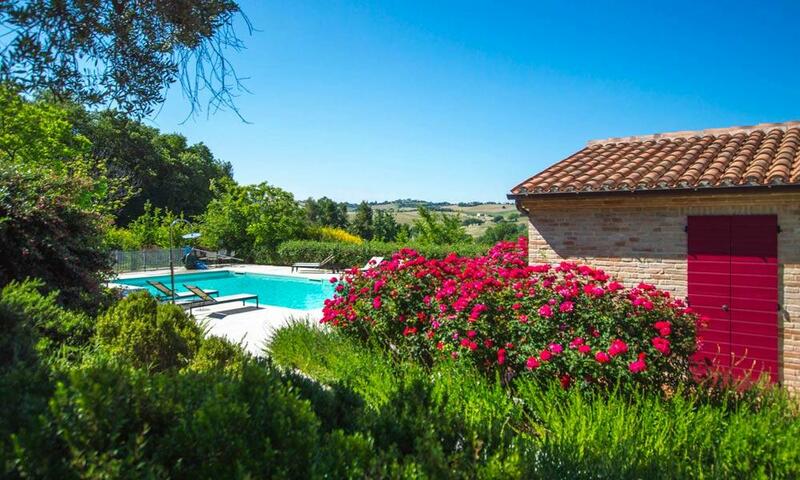 mature garden with panoramic pool and possibility to buy additional 7 hectares land. 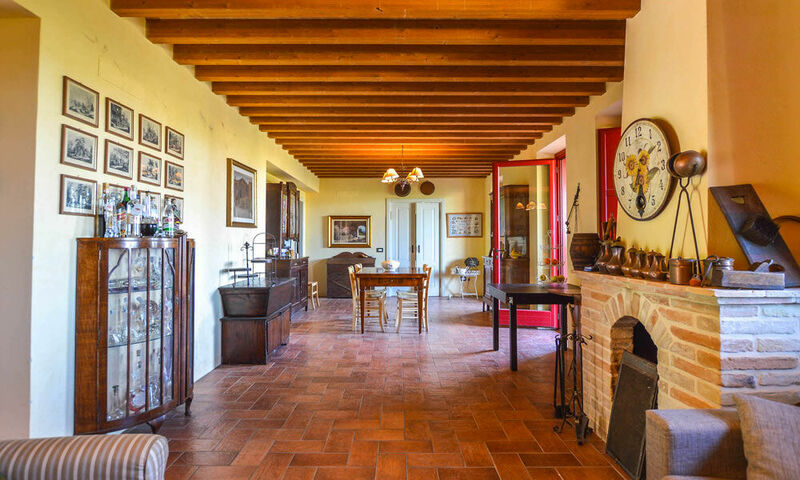 The main house has been carefully restored retaining as much as possible all the original features, as the bricks, which have been cleaned one by one, sanded and reused. 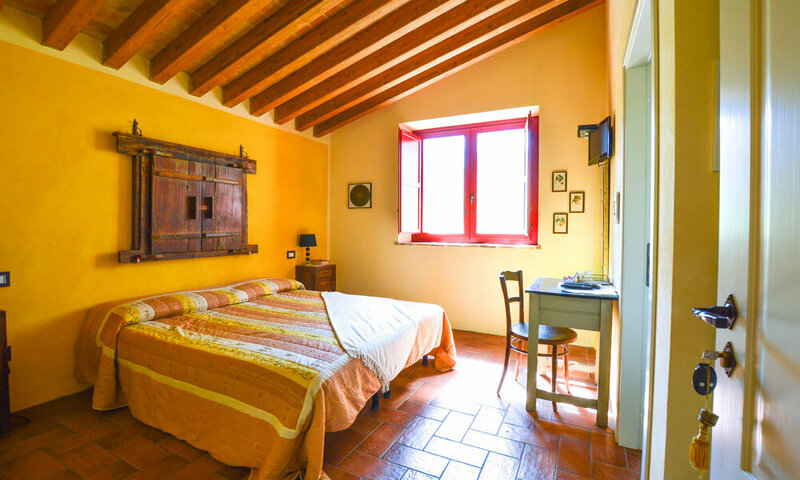 Also internally the house is quite characteristic: thanks to the wood beams, the warm colours on the walls and the red window-shutters, it truly recalls of old marchigiano farmhouses. 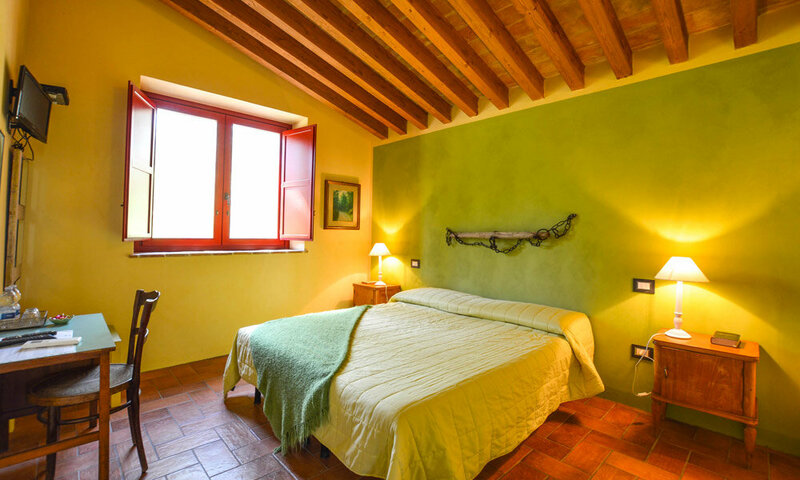 Each bedroom is different from the other and also the bathrooms have each one a distinctive original element, as a stone or iron basin, a yoke or an old barn door on the walls, used as paintings. The owners’ apartment features a main entrance to the large, open space living room. 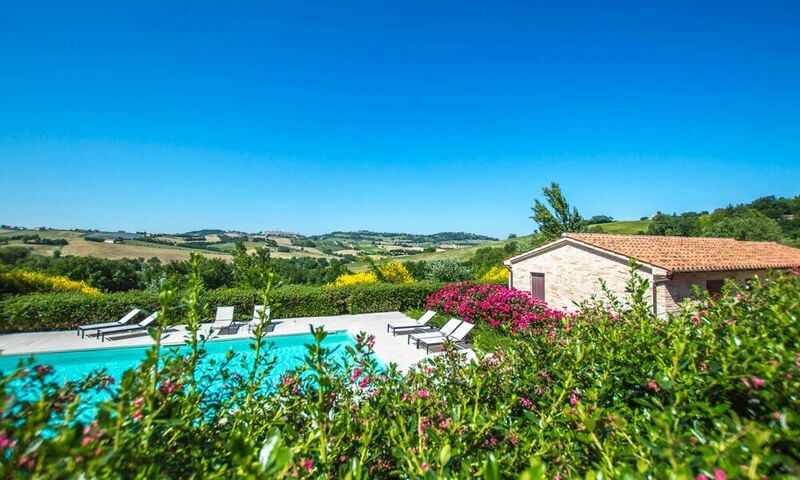 Plenty of light is guranteed, thanks to the numerous windows and the french window leading out to the portico, where you can enjoy a beautiful view over the countryside, stretching onto Montecosaro. The living room features wood beams and a fireplace, where you can curl up during the cold winter evenings. 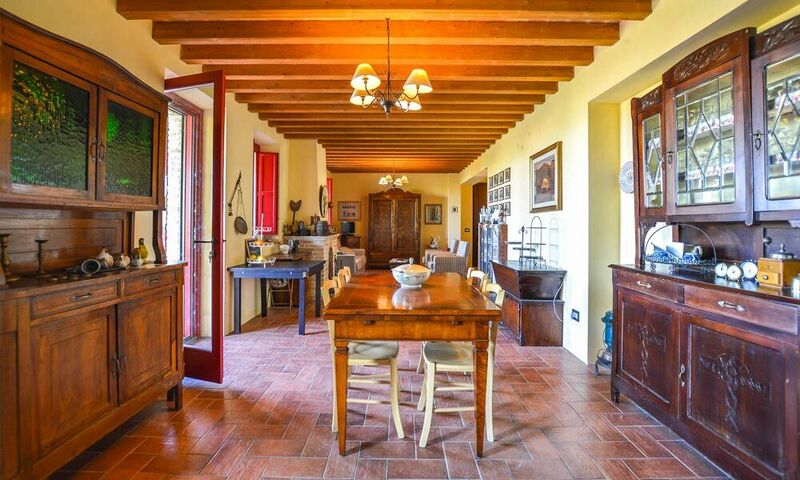 A spacious kitchen, fully equipped, will let you cook comfortably for all your guests. 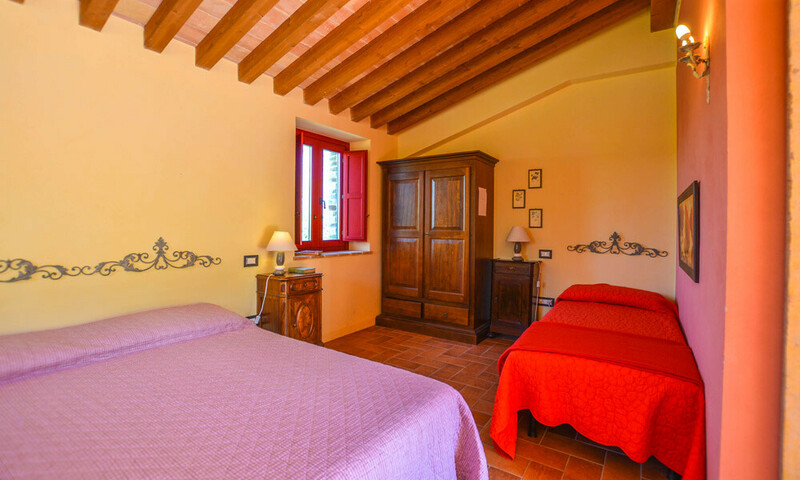 On the same floor, there is a master bedroom, with spacious en-suite bathroom and step in closet. This room has been designed for disabled, thus featuring large doors, and a big shower, flush with the floor. 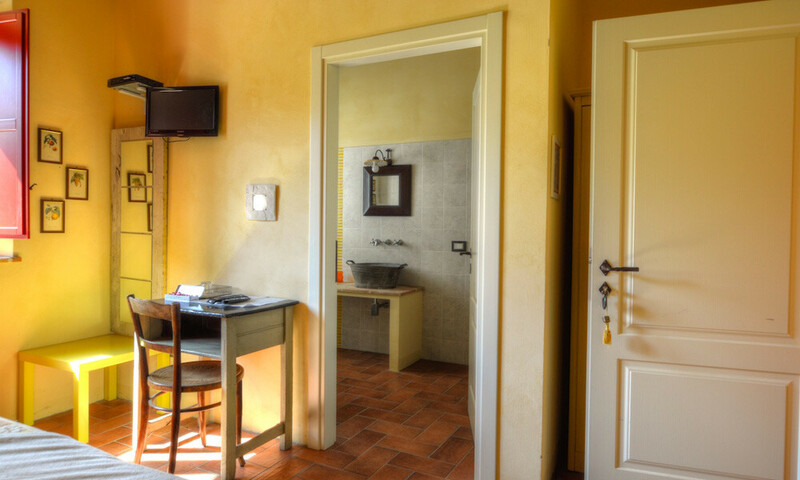 Last but not least, from a 3rd entrance, you access a room currently used as a reception room for the guests of the B&B and that may be also turned into a studio or a reading room. From here, you can also access the laundry room and the staircase, leading to the first floor. In order to guarantee maximum privacy to the guests sleeping upstairs, the staircase has been closed with a door, but if you wish to bring everything back to a single house, you can just remove the door and access the first floor internally, instead of using the external staircase. Otherwise, an external typical staircase, will lead you upstairs, where 4 spacious bedrooms are placed. 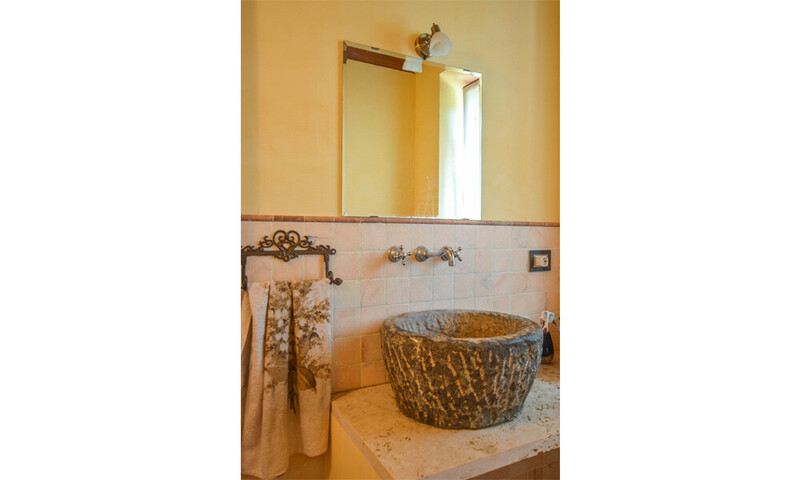 All the bedrooms enjoy an en-suite bathroom and each bathroom has a different style. 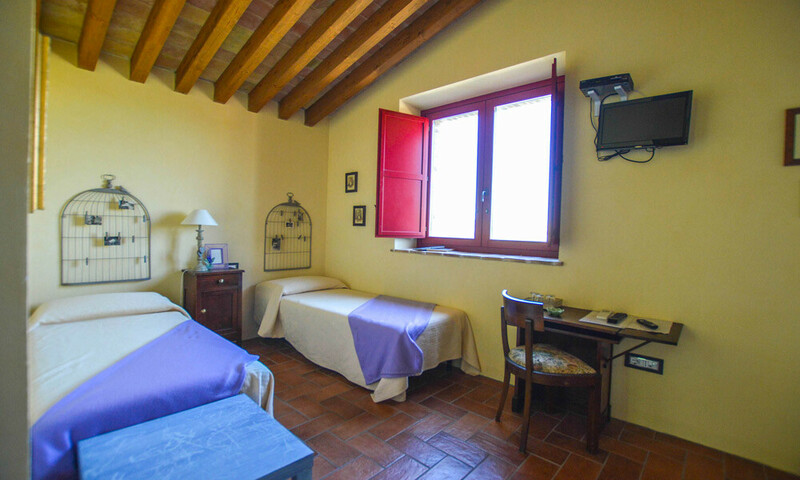 From all windows, you can enjoy beautiful views, especially from the rooms overlooking the countryside and Montecosaro. In all rooms, there is an underfloor heating, thus guranteeing energy saving. 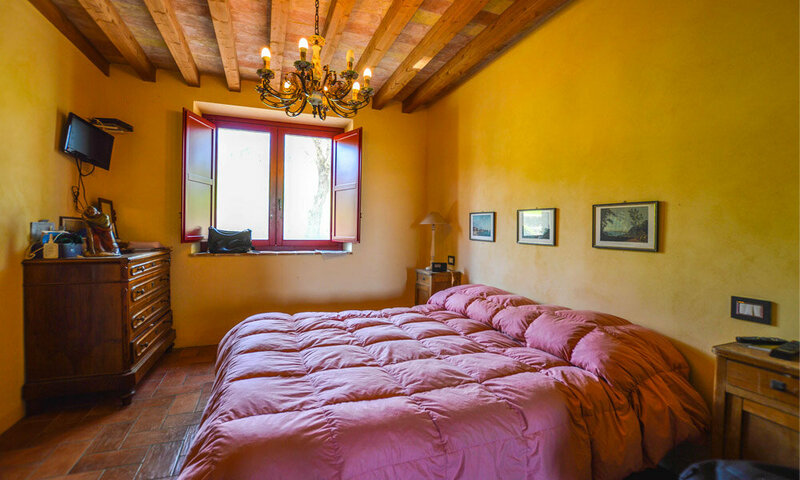 For maximum comfort, all bedrooms are also equipped with air-con. Close to the main house, there is an annex, restored with bricks as the house. The total area of the annex is about 74 sq.m. 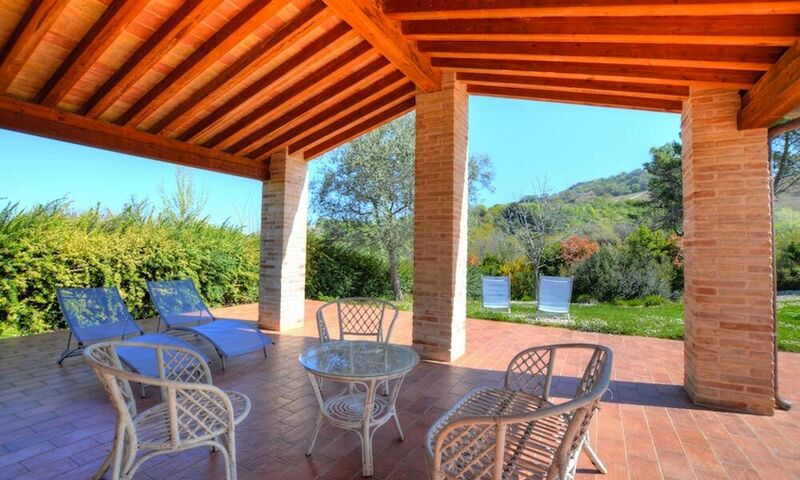 plus a lovely portico of 30 sq.m., where you can relax in the shade. From the portico, you can access the first spacious bedroom in the annex, with en-suite bathroom. 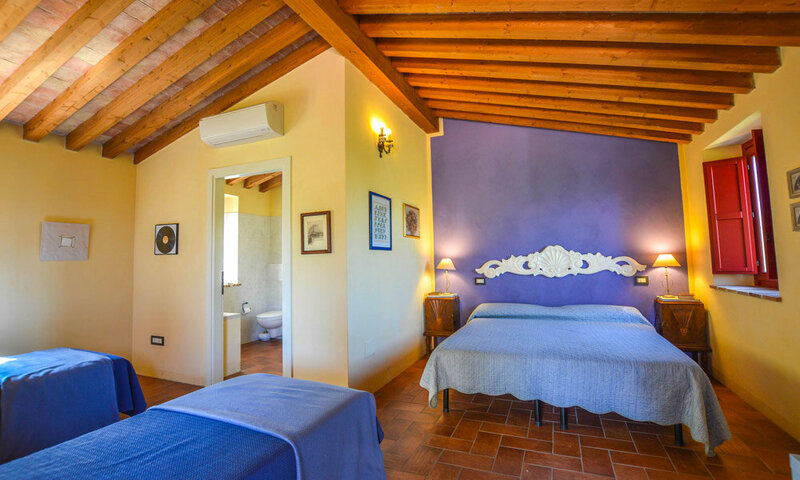 On the opposite side, there is another big bedroom with en-suite bathroom, designed for disabled. 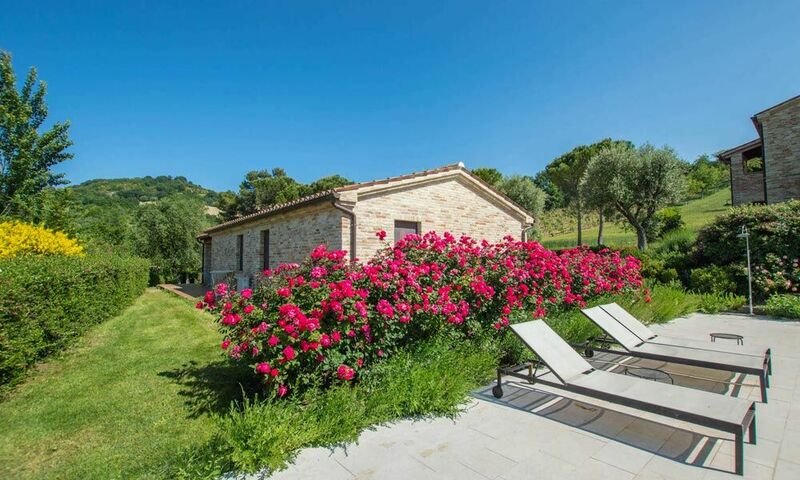 All around roses and lavander, will spread their good scent and colours in the air. 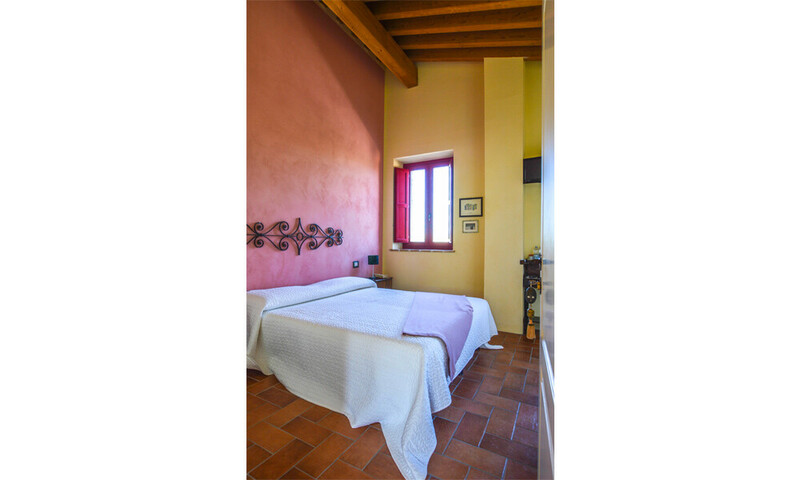 These two rooms, both provided with heating pumps for hot and cold air, are currently used as bedrooms for the guests of the B&B, for those who’d like to have a bit more privacy. All this beauty is surrounded by a 5.000 sq.m. 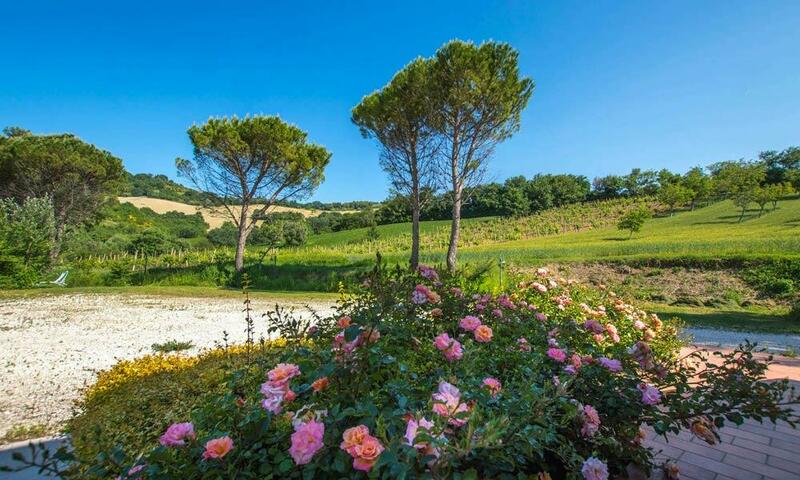 of mature garden planted with maritime pines, roses, lavander and other herbs. 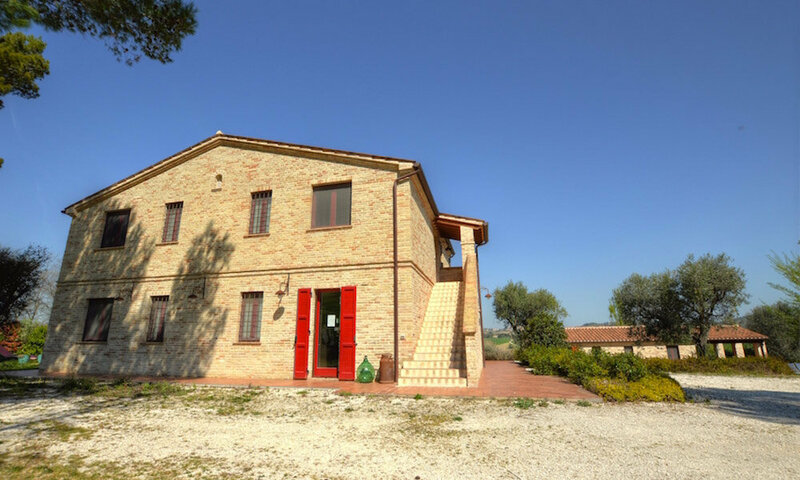 In front of the main house and visible also from two bedrooms on the first floor, there is the 6×12 mt. 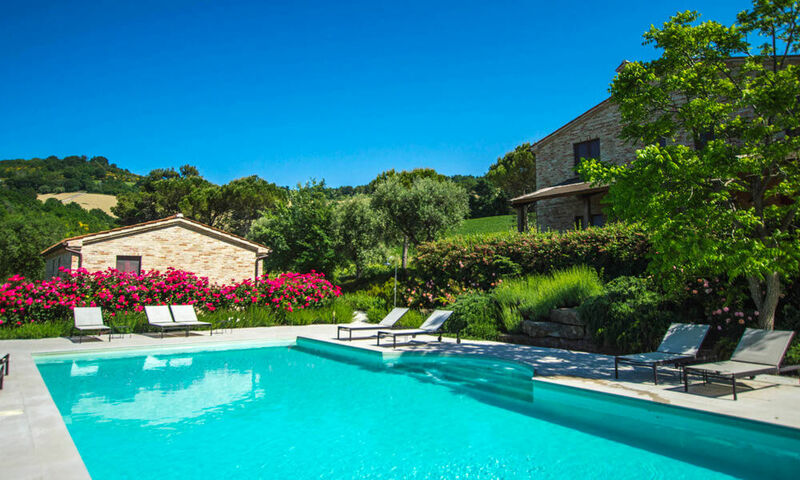 swimming pool with roman steps, overlooking the multicoloured countryside and the charming medieval town of Montecosaro. 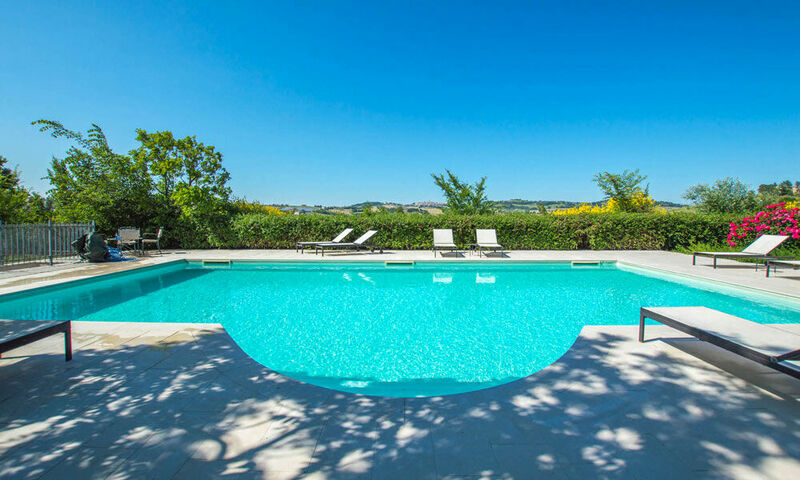 All around the pool, the white flooring, will let you have nice sunbaths. 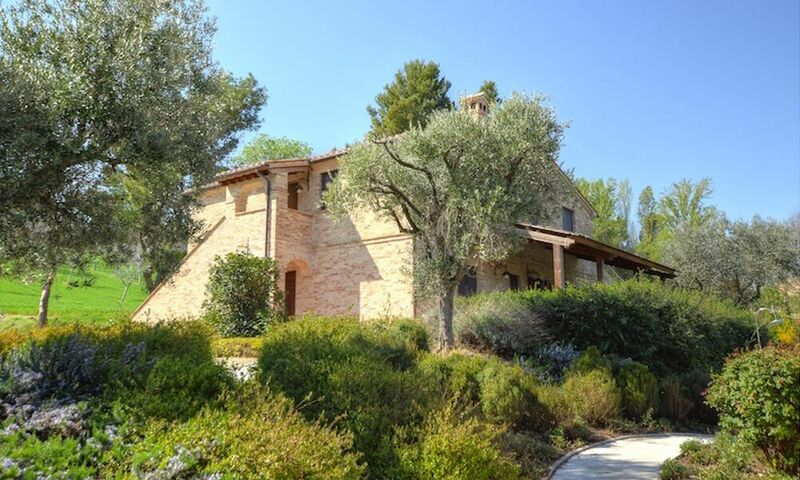 If you wish to have more privacy or would like to cultivate your own land, it is possible to buy additional 7 hectares land, including a 1 hectare vineyard, a plot of land for an olive grove and about 6 hectares arable land. 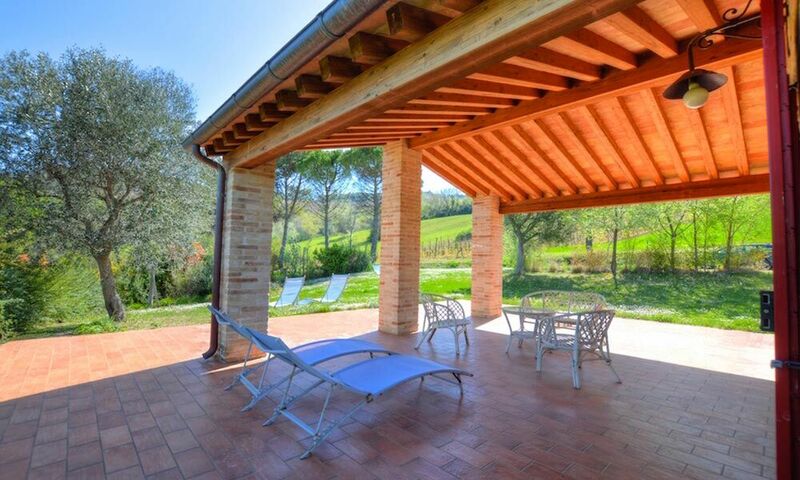 The house is placed in the countryside of Montecosaro, at the end of a 700 mt. well maintained white road, partly private and closed with an electric gate. The white road is directly connected to Strada Provinciale 10, a main road rapidly connecting to Civitanova Marche and all its services, as Motorway, shopping malls, expo, beaches, etc. 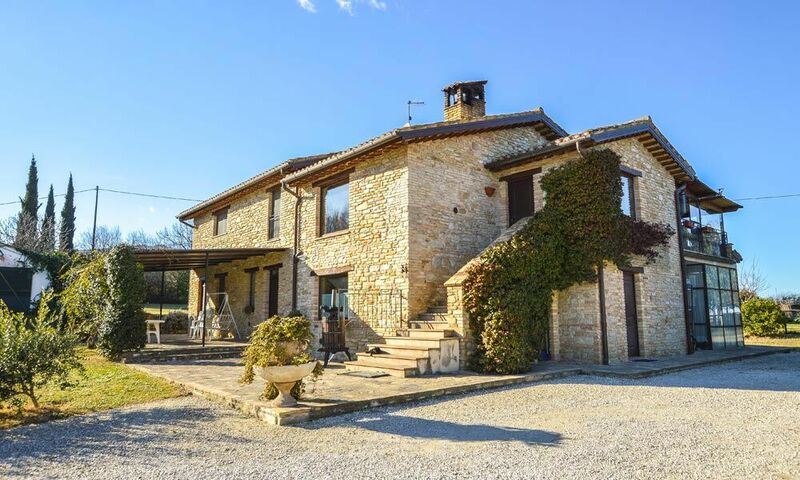 The location of the house is very private, nobody will be peeping into the property and the views, that you can enjoy from all the corners of the house are simply perfect: multicoloured rolling hills, vineyards and the profile of Montecosaro stuck in front of the house. 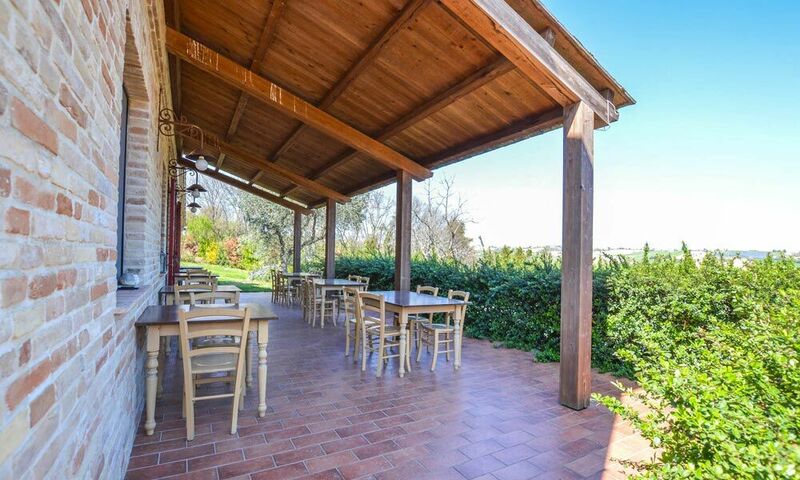 Montecosaro is a small but lively town: it is very well maintained and a few events are organized during the year, as art exhibitions, wine tastings and other nice events open to everybody. Recently restaurant Signore Te Ne Ringrazi, run by 2 Michelin stars Chef Michele Biagiola, has been opened in Montecosaro. Locals will make you feel as you’ve always lived there. If after reading this description and seeing all the pictures you still need a reason tu buy it, here it is! 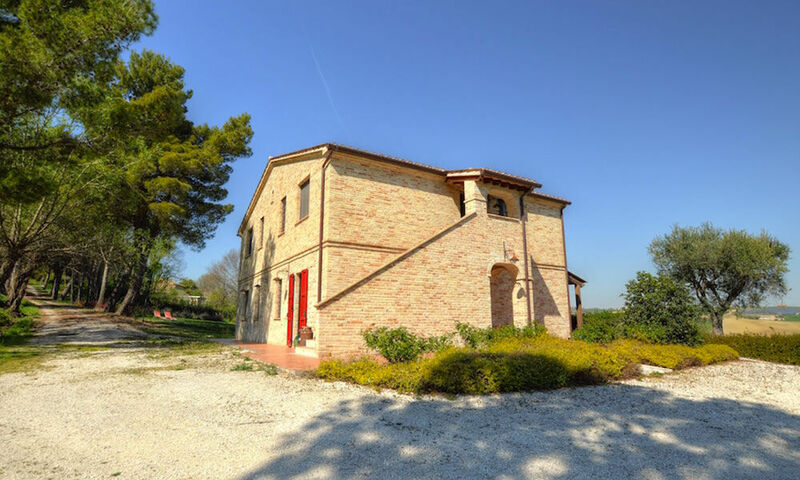 This is the perfect property if you wish to live surrounded by nature, with full privacy but still close to all services, thanks to the proximity to Civitanova Marche and Macerata. This property is already producing an income, so you don’t need to start a business from zero, but you can go on and improve what’s been done so far. 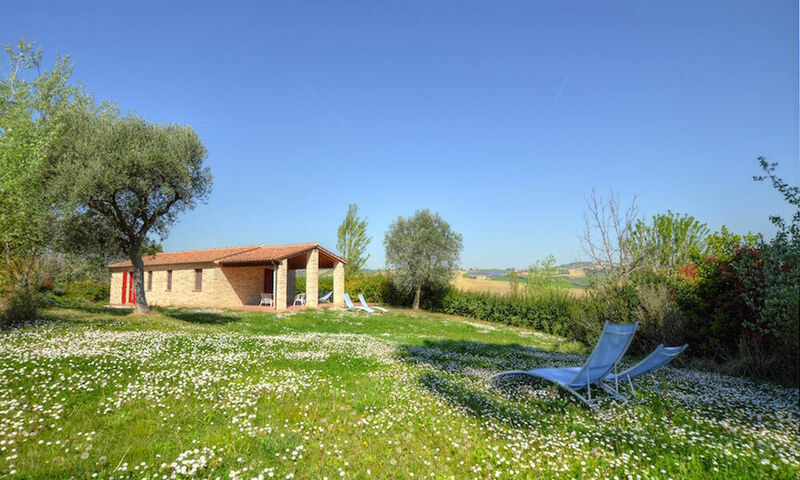 You could rent out the whole property with weekly rentals, you can rent the rooms as a B&B or you may turn it into an agriturismo, offering to your guests the products of your land, that you can cultivate or ask a farmer to cultivate in your behalf. All the buildings were restored in 2011 according to the latest anti-seismic regulations. Ready to move into, ready to be rented, ready to be your perfect property. 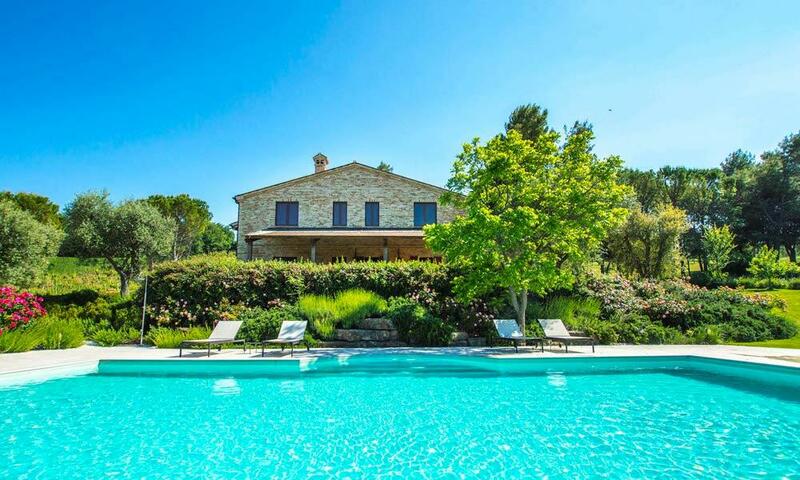 LAND / GARDEN: 5.000 sq.m.